In the battle between energy and emptiness, there’s only one weapon – the elements. The light and dark souls have been reunited. It is now up to Nora and Darcy to track down the elemental souls with help from their guardians. Finding the four souls that represent the four natural elements out of seven billion is an overwhelming mission. Only through translating the Statera and reminiscing of the ancient past will they unlock the mysteries to locating the Elementals, breaking the curse, restoring the balance, and filling the emptiness. But their mission is interrupted by an unexpected guest – the Elemental guide, Lilly. Can this new addition to their team be trusted? Will they be able to complete these daunting tasks before the destructor strikes again? 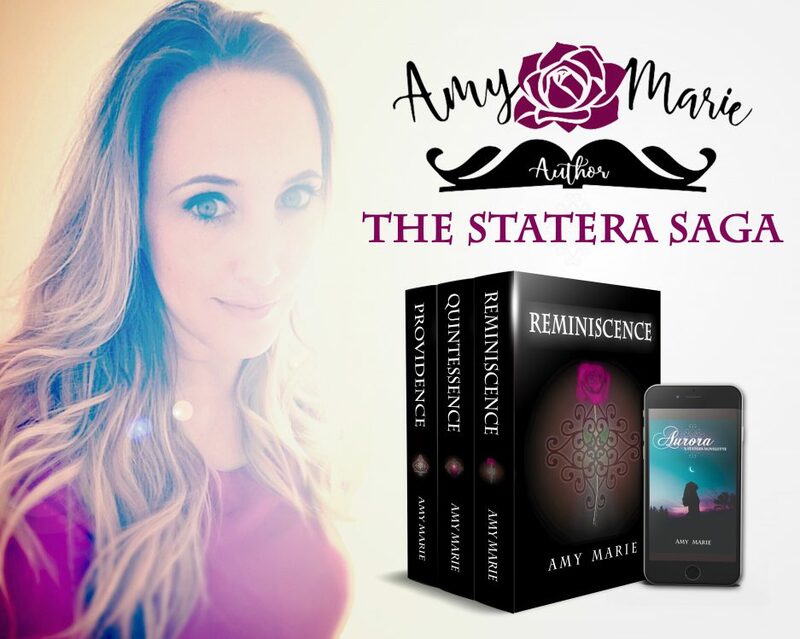 ⭐️⭐️⭐️⭐️⭐️ “Quintessence by Amy Marie is the second book in the Statera Saga series. As the battle between good and evil wages on, Nora and Darcy are in a race to find the elemental souls before their enemy Marcus Talbot gets to them first. To find four people out of billions, Nora unlocks memories of her past and discovers the shocking secrets of her origins. Now that she remembers her lives before, her relationship with Darcy is everything she remembered and more. When Nora meets the elemental guide, Lilly, she may have finally found an ally against Talbot that can end the war before it’s too late. As they near the location of the first elemental, Talbot’s attacks hit closer to home and a startling betrayal threatens to take away everything Nora loves. Everything you loved about Reminiscence is back in a thriving sequel with more danger and action-packed adventure, with higher stakes and more romance. Amy Marie digs deeper into the mythology and opens up the world in fascinating new directions. The elementals are explored further and how they tie into Nora’s and Darcy’s past lives and history, revealing what their purpose is and how that connects to Nora’s role. The mythology is vast and slowly uncovers new layers as the story unfolds so you never know what to expect with a surprise around every turn. As Nora delves further into her past life memories and her feelings for Darcy, she struggles to accept her role. She has a deep fear of her powers, afraid they’ll control her and harm others, but this fear is ruling her. She’s so afraid of them that she’s not truly accepting what she’s capable of and learning how to harness her powers for good.